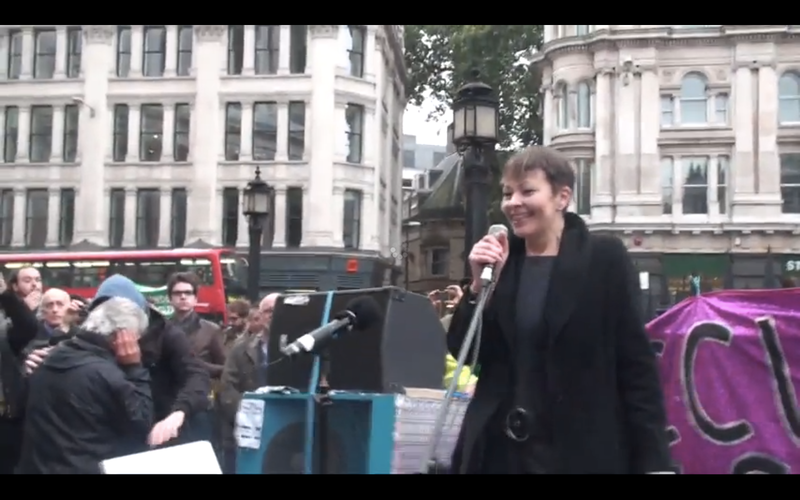 Caroline Lucas, Green Party leader and MP gives a punchy speech at the Occupy LSX protest joining the dots between The Great Financial Rip Off and moving beyond environmental challenges @ St Pauls Cathedral, London. Also bonus video of Danny Glover losing it @ Oakland protest. Caroline Lucas, Green Party leader and MP gives a punchy speech at the Occupy LSX protest joining the dots between The Great Financial Rip Off and moving beyond environmental challenges @ St Pauls Cathedral, London. "Vote in hope, not in fear. Vote Green!"